As a leader, it’s natural to be scared of making mistakes – and for good reason. One small misstep could cause an entire business to collapse. Sales or marketing mistakes can result in lost revenue, and financial oversights can easily lead companies to bankruptcy. This fear of failure has held many entrepreneurs and managers back. But, there is one fatal mistake that many leaders are guilty of and yet fail to see. That mistake is ignoring culture development. Nothing kills growth faster than a toxic culture. Unconstructive work environments encourage employee turnover and stifle growth, whereas a culture that inspires leadership will help push a business to further success while others lag behind. Additionally, companies with positive cultures are statistically more productive than their competitors. Creating a culture like this requires intention and commitment. The rewards to reap are nearly endless. Let’s discuss some ways that you can start instilling a more positive culture of growth within your company. The process of bringing a new hire into the mix is always risky, especially when you are in the process of building a new culture. Hiring the right person from the start can make a huge difference in the success of not just the individual, but the company as a whole. Rather than simply matching up candidates based on hard skills and technical training, remember to take soft skills into consideration, too. Strong communication abilities, interpersonal skills, and an overall positive attitude are all vitally important qualities that leaders must have. 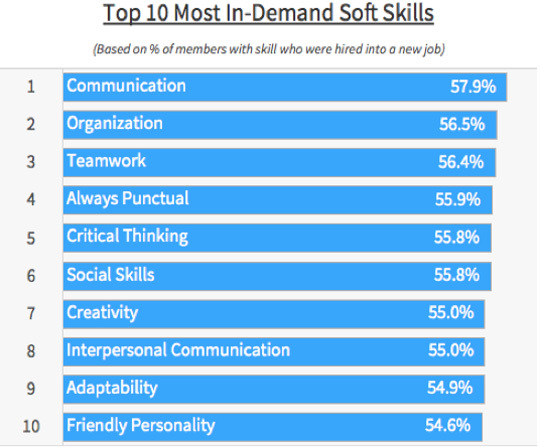 In fact, studies have found that soft skills attribute to 85% of job success in the workplace, making them more important than technical skills and knowledge. Businesses that are committed to promoting leadership development in their company culture must bring on the personalities that will add to a positive environment. Before your marketing team makes another hiring decision, take the time to assess which qualities are most beneficial to the business. Companies that want to develop leaders must provide the tools that are necessary for everyone to grow. The benefits of lifelong learning extend beyond just the workplace. A study by the Harvard Business Review actually found that it can improve an individual’s health, finances, and social life, leading to hire employee satisfaction and positivity. Determine which learning opportunities are available for your business’s industry that could provide constructive material for your employees. Attending conferences and conventions are great networking and development opportunities. Checking out local meet-ups or discussions can be great, too. Additionally, online learning sites like Coursera and Udemy are awesome for busy professionals. They often allow you to learn on your own schedule. Many of the courses are free to check out, plus their vast array of topics and specializations offer something for everyone. Encouraging people within a work culture to grow and learn will only have a positive effect on the company in the long run. It makes employees keep up with the times and provides them the keys to more opportunities down the road. In order for leadership qualities to be developed, employees must be given the opportunity to put their skills into practice. This may mean that managers have to take a step back from time to time and allow other team members to take initiative and make decisions on their own. Many knowledge-based businesses today have implemented Scrum as a guideline to build more self-managed teams, especially for large projects that require collaboration. Scrum is an Agile approach to project management that allows every member of the team to get involved with decisions and planning. In order to provide more autonomy, while still keeping the team on track, using a project management program may be necessary. A tool like Nutcache is a great option because it actually follows the Scrum team approach to push for self-management, and its dashboard and task assignment capabilities make sure that everyone on the team knows their priorities, milestones and status. Enacting this concept of self-management may be a totally foreign concept to many businesses, but it is certainly a great way to encourage ongoing leadership. A healthy culture is able to determine the value of each employee and dictates interactions and engagements within the workplace. Failing to strategically create a positive culture could hurt a business, along with the people who are part of it. Pushing for leadership development within a company is a necessary catalyst for success. Mostafa Elbermawy is a SaaS growth strategist who has helped brands such as American Express, P&G and Workzone. He heads marketing at Harver, an AI recruitment platform, and is a regular tech contributor for Wired and BBC Arabia.